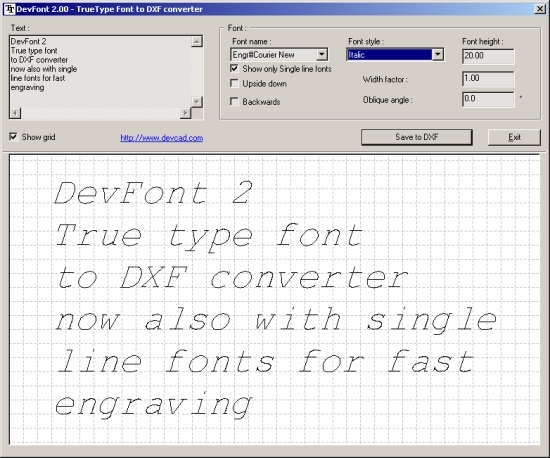 DevFont creates a text in any installed true type font and save the result as dxf file. So you can plot the font to use it for engravings etc. The text will be saved as polygon line information in the DXF file.